MADISON, MS, November 25, 2013 (LifeSiteNews.com) – Authorities say an abortionist with a history of tax evasion, botched abortions, and unusual disposal of aborted babies has died. 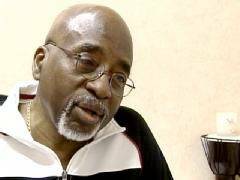 Police found the body of Dr. Joseph Booker Jr., 69, at his home Thursday night after relatives complained they could not reach him. Investigators said Booker suffered a stroke and drowned in his shower in his Madison, Mississippi, home. In 1999, Booker served time in prison for tax evasion. Later in the year, police learned that a local resident discovered 36 bags of aborted babies in a storage unit he purchased from Booker in Ocean Springs, Mississippi. The new owner said Booker stowed the babies there shortly before going to prison. The primary purpose of the pro-life movement is the salvation of souls. We hope and pray that Dr. Booker repented at the last. He is much in need of our prayer, and we are much in need of praying for him and the others who perform abortion. It’s good medicine for Advent. We start tomorrow, Tuesday, Dec. 3 at 8PM for nine consecutive nights. See you all then. I will join in prayer with you tomorrow. Tara’s response was beautiful in its Christian charity. Joseph Booker Jr. was someone’s little baby once, someone’s little boy, with all the potential for greatness or depravity that any human has. He became a mess of a man, an abomination of a physician, and met a pathetic end. It is all too easy for us to hate the monster and fail to see the lost soul. “It was at a church service in Munich that I saw him, the former SS man who had stood guard at the shower room door in the processing centre at Ravensbruck. He was the first of our actual jailers that I had seen since that time. And suddenly it was all there – the roomful of mocking men, the heaps of clothing, Betsie’s pain-blanched face. He came up to me as the church was emptying, beaming and bowing. “How grateful I am for your message Fräulein”, he said “To think that, as you say, He has washed my sins away!” His hand was thrust out to shake mine. And I, who had preached so often to the people in Bloemendaal the need to forgive, kept my hand at my side. Even as the angry, vengeful thoughts boiled through me, I saw the sin of them. Jesus Christ had died for this man; was I going to ask for more? Lord Jesus, I prayed, forgive me and help me to forgive him. If we refuse to seek that divine love for others–for Booker, even–are we any better than him in God’s eyes?